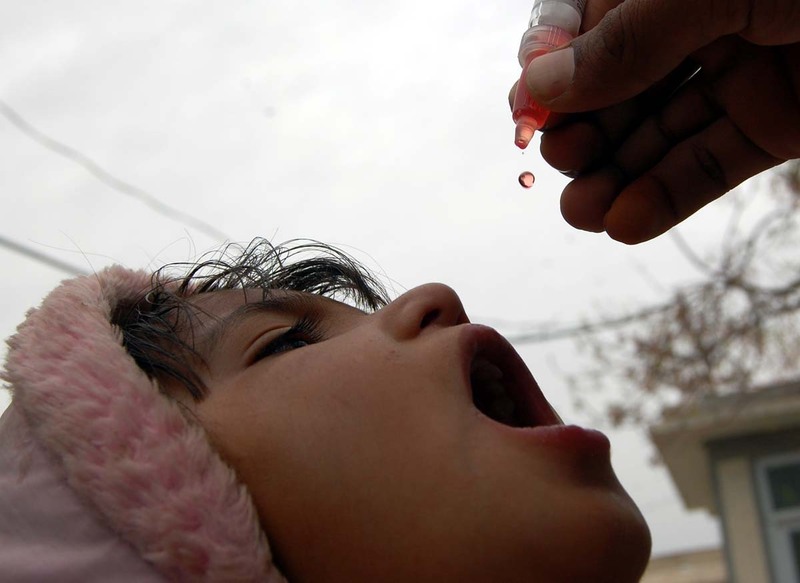 Karachi: Pakistan is responsible for 80 percent of polio cases diagnosed across the world this year, says World Health Organization while the flux of people from inaccessible FATA regions to Karachi is another trouble for health agencies fighting polio in Pakistan. On one hand, it has enabled the vaccination of thousands of children who had been left out wither due to problems in accessibility or security. On the other hand, the lack of reliable data impacts the effectiveness of already-mismanaged polio eradication drives. “Around 260 cases were reported from all over the country this year, the highest in 15 years. The problems faced by vaccinators in Pakistan are peculiar. There is lack of credible data regarding the country’s population and issues in inaccessibility and managements. But nowhere else in the world are polio workers attacked,” he further added. Since December 2012, at least 65 health workers participating in polio vaccination drives have been killed across the country. The latest attack took place in Quetta earlier this week during an emergency vaccination campaign being carried out in 18 union councils of Quetta. A man and three women were shot dead by unidentified men with automatic weapons riding motorcycles. Following the attack, the polio drive was suspended across the whole district. Its effects rippled over to Karachi as well where vaccination activities were suspended following the attack. According to Karachi Health Director Zafar Ejaz, around 19,000 children in the city remained unvaccinated. A three-day immunization drive had been launched in 86 union councils of Karachi where 575,000 children were to be given the oral polio vaccine. Ejaz added, “Another immunization drive is set to begin in Karachi on November 30. However, Rana Safdar, Head of the Expanded Program of Immunization, expressed the fear that these drives were the last chance for Pakistan for capping spread of the virus. According to figures from Karachi Health Office, 23 polio cases are reported from Sindh this year and out of which 21 were from Karachi. These 21 cases from Karachi were restricted to 11 union councils marked as “high-risk” areas situated in a 25-kilometer radius including the troublesome Gadap, Baldia and Orangi towns. These are the areas where the vaccinators have faced the most difficult situation in terms of accessing households due to the presence of militants. More than 40 attacks on vaccinators in the country have taken place in Gadap and Baldia towns. Interestingly, 20 percent of cases reported from Khyber Pakhtunkhwa are genetically linked to Karachi. According to the WHO data available, the presence of poliovirus had been detected in the sewage from Baldia, Gadap, SITE, Orangi, North Karachi, Landhi, Bin Qasim Town and Korangi areas. Rana Safdar, Head of EPI, explained that this was because Karachi had the highest number of cases where parents refused to vaccinate their children. Almost all of them were Pashto-speaking and resided in these 11 union councils. Since Karachi, being the third most populous city of the world and the place with the largest number of Pashto-speaking people in the world, it served as an amplifier and exported polio to other areas in Pakistan and also the world. “Even if all the children are vaccinated in Fata, Karachi will keep being a problematic area to work in,” expressed a senior Federal Health Official. Meanwhile the State Minister for Health Saira Afzal Tarrar blamed the Sindh government for sending it fudged data about polio vaccination coverage in the province and questioned its seriousness in tackling the issue. Health Secretary Iqbal Durrani during a telephonic interview with News Lens Pakistan admitted problems regarding accessibility in the 11 high-risk union councils. However, he said only 70 percent areas of the city were accessible but despite that health workers managed to vaccinate 99 percent of the targeted children. “Vaccinators for several reasons were missing a large number of children in the 11 high-risk areas. Health workers have cited inadequate security and pending payments for their hard work, in areas where vaccination campaigns have been affected,” he further added. This reflects in the background of the polio cases, since half of these 21 cases were of refusals, meaning that they had denied polio vaccination in the past. According to Safdar, micro plans that suit the conditions of each location are required to be executed firmly and resolutely for capping the spread of polio. Inaccurate data affects the whole campaign because strategies are based on them. “Fudged data means that the whole strategy has been faulty and has to be revised,” he said.